Note: The inanimate object is not included. 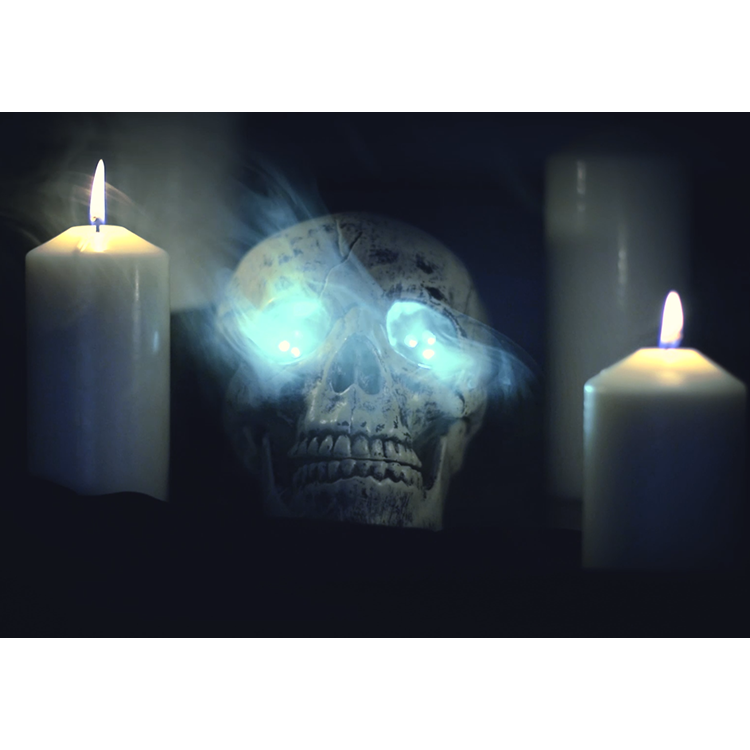 Use a microwave motion sensor to detect trick-or-treaters to light up a spooktastic prop, like a jack-o-lantern or skull, and either welcome or scare them at your door. 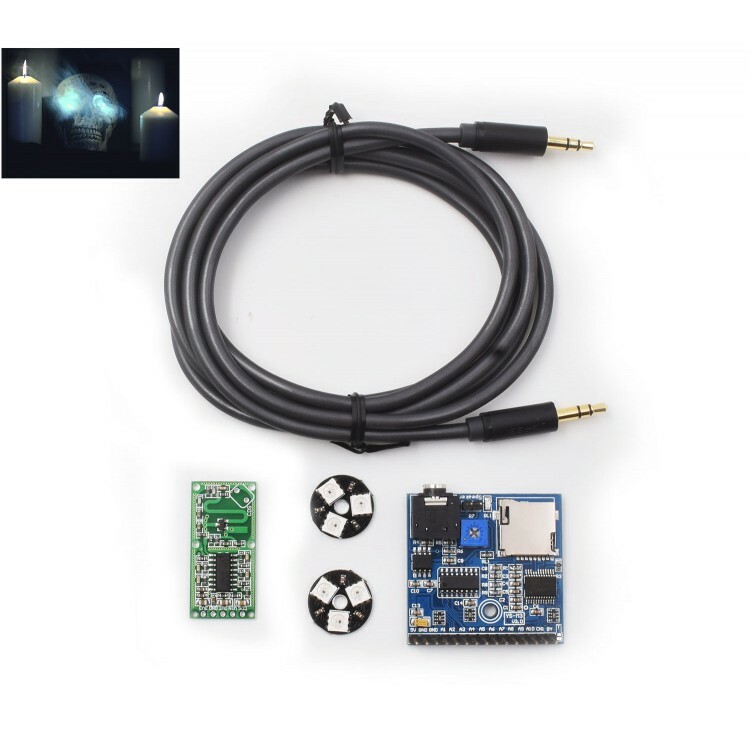 Or introduce some electronic love and automation to your Halloween party or haunted house. 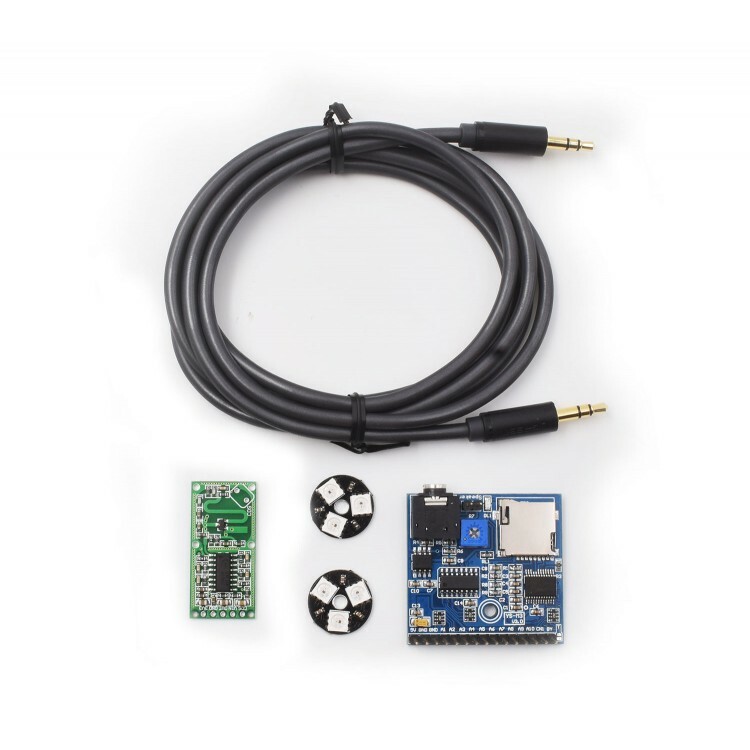 It's easy to make and even beginners to soldering, programming, drilling, etc. should have no problem creating their own spooky prop. Go through our tutorial below or check out the example code to get you started. The motion sensor module sends off microwaves set to a certain frequency to the surrounding area. As the microwaves meet moving objects, they get reflected, altering their frequencies. 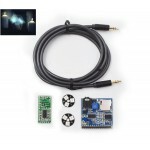 The altered waves are received by the sensor and a mixer then determines the difference in frequencies, telling the Arduino to trigger the lights and sound. Example code has been provided. You are encouraged to play around with the code – adjusting colors, delays, track order, etc. and see how you can make it your own! And after Halloween, you can even recycle the components for any other projects you wish to build. Your imagination’s the limit.